Algeria, Sand Dunes, 1988 - I had heard of large sand dunes, but I was really amazed and fascinated when I saw sand dunes as big as mountains. 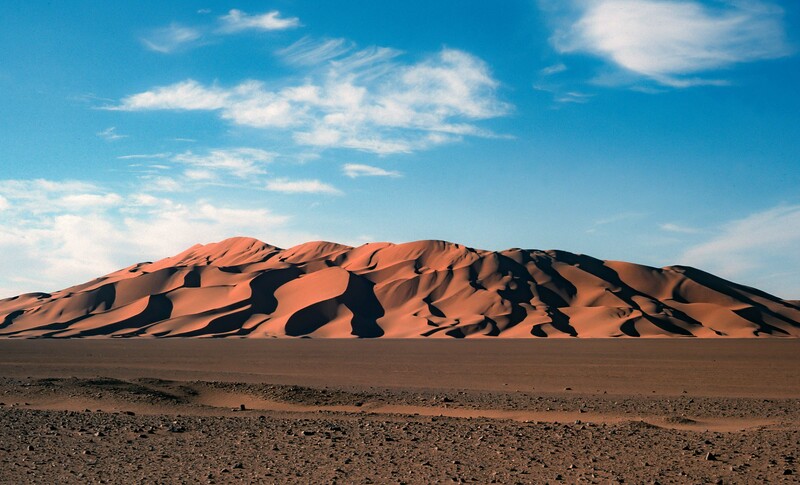 There were certain tracts of land with such dunes on the way from Algiers to Niger via Tamanrasset. With that said, much of the Sahara on that route was just flat with small rocks, as seen in the foreground.